Enjoy a huge range of interesting carbon facts. Carbon plays a huge role in the world we live in, from the carbon dioxide in the air to the graphite in your pencil, you’ll find its imprint everywhere. Learn more about carbon uses, the carbon atom, carbon properties, hydrocarbons, carbon structure, carbon fiber, carbon monoxide, your carbon footprint and other amazing carbon facts. Carbon is a chemical element with the symbol C and atomic number 6. Carbon forms a large number of compounds, more than any other element. Because of its willingness to bond to other nonmetallic elements it is often referred to as the building block of life. While carbon forms many different compounds it is a relatively unreactive element. There are several allotropes (different forms) of carbon with the three most well known being amorphous carbon (coal, soot etc), diamond and graphite. The properties of diamond and graphite are very different with diamond being transparent and very hard while graphite is black and soft (soft enough to write on paper). Graphite is used for its thermal insulation (lower rate of heat transfer) properties. It is also a very good conductor or electricity. The carbon atoms in graphite are bonded in flat hexagonal lattices and layered in sheets. Carbon is the 4th most common element in the Universe (after hydrogen, helium and oxygen). It is the 15th most common element in the Earth’s crust while it is the second most common element in the human body (behind oxygen). 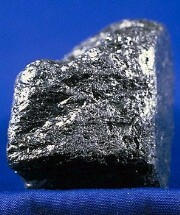 Carbon has the highest melting point of all elements, around 3500 °C (3773 K, 6332 °F). Hydrocarbons are organic compounds made entirely of molecules featuring just hydrogen and carbon. Organic chemistry involves the study of hydrocarbons. The simplest hydrocarbon compound is methane (CH4). 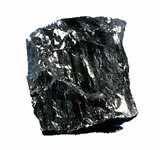 Carbon was discovered by early human civilizations in the form charcoal and soot. The term carbon footprint refers to the amount of greenhouse gas emissions caused by a country, organization or individual person. The carbon cycle is the process in which carbon is exchanged between all parts of Earth and its living organisms. It is of vital importance to life on Earth, allowing carbon to be continually reused and recycled. Carbon is found in the Earth’s atmosphere in the form of carbon dioxide (CO2). Although it only makes up a small percentage of the atmosphere it plays an important role, including being used by plants during photosynthesis. Carbon monoxide (CO) is very toxic to both humans and animals. It forms in conditions when there is not enough oxygen to form carbon dioxide (CO2). In many countries around the world, carbon monoxide poisoning is the most common kind of fatal poisoning. Carbon fiber is a strong material that consists of thin fibers made up largely of carbon atoms which are bonded together in microscopic crystals. It is very useful for applications needing high strength and low eight. Fossil fuels such as methane gas and crude oil (petrol) play a large role in modern economies. Plastics are made from carbon polymers. Carbon is used to form alloys with iron such as carbon steel. Graphite and clay are combined to make the lead used in pencils. Charcoal is commonly used for grilling food on barbeques.